Brendan Wenzel is an illustrator based in Brooklyn, New York. A graduate of the Pratt Institute, his work has appeared internationally in children's books, animations, and magazines. 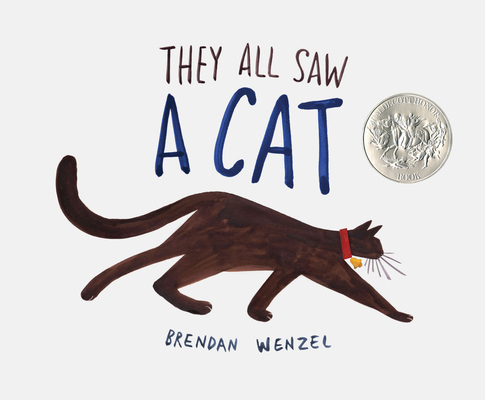 They All Saw a Cat is his debut as both author and illustrator. "A stunning example of the art of weaving poetry and illustrations into an inextricable whole; gracefully pulling the reader into a world where an ordinary insight becomes something beautiful, delightful and profound. "-Tom Lichtenheld, illustrator of the New York Times Bestsellers Duck! Rabbit!, Goodnight, Goodnight, Construction Site and I Wish You More.